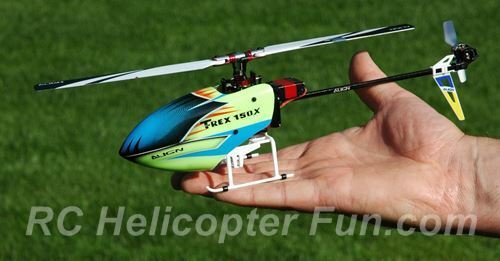 Are you thinking of getting a T-Rex 150X and wondering if it will good micro CP heli to add to the fleet? 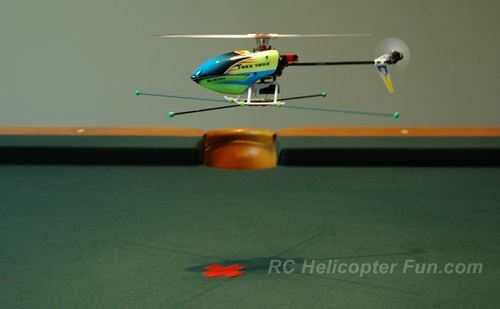 The little Rex 150X, a near perfect micro CP helicopter. Me too! 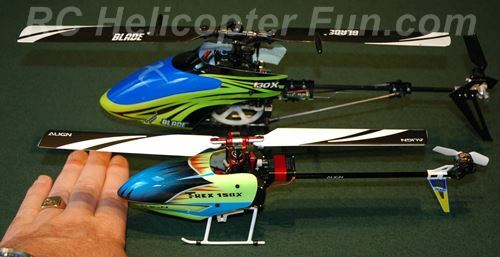 I was looking for a good micro/mini CP heli for practicing in the yard to replace my aging fleet of Blade 130X's. Here's my full story to help you decide if the T-Rex 150X is worth your time & coin. My search for a decent under 250g yard flier due largely in part to Transport Canada's new and overreaching RC flying regulations, first had me considering the new Blade 130 S (links to the article I wrote about it). It improves much of what we all didn't like about the original X version - primarily the ongoing tail maintenance. As I said in that article after flying the S version, I was very impressed and it looked to be a great replacement option. I also mentioned the Blade 180 CFX might be better fit for what kind of mini CP yard flier I was after (one with rotary servos over linear). As a flier and enthusiast of Align's larger helicopters, I'm somewhat surprised I had (well almost had) completely overlooked the fairly new micro sized T-Rex 150X. I did fly the original 150 DFC shortly after they came out in late 2013, and although I thought it was fairly good, I already had two 130X's that I was enjoying immensely. The fact is after a fair amount of research, I see the T-Rex 150X as a very viable contender to the 130 S, better in many aspects no less, not to mention its been on the market now for several months so all the firmware "teething bugs" have been ironed out. Lets dive into this little rascal to find out why I added one to the fleet, and why the 150X might be a good choice for you as well. Before even seeing the helicopter, the first thing you experience with the T-Rex 150X Super Combo is the really nice storage/carrying case it comes in over a simple cardboard box. The "value" Combo version doesn't come with this "case" - more information on that shortly. 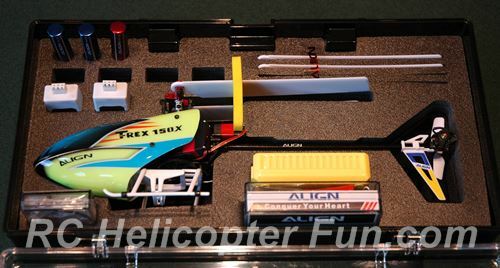 There are precision foam cut-outs for the included tools, parts bin, LiPo packs, charger, spare blades, and of course the helicopter itself. This case if purchased separately is about $40 bucks, so right there Align gets top marks by including it. Fancy packaging naturally plays no roll in flight performance and enjoyment, but it's just one of the quality differences you immediately notice between it and the 130 S considering somewhat similar price points ($170ish USD for the Blade, $225ish USD for the Rex). Once you open the custom carrying case, you are once again greeted by Align's overall better quality and value. Very nice included 3 hex driver set, two 2S 300mAh LiPo flight batteries, decent little dual capacity 2S LiPo charger, a pair of extra main blades (mine were black, not orange as shown in the kit photo), and several spare screws and washers. One really inexpensive, yet important item I feel they left out is a spare 23mm tail blade. Come on, what are we talking about here, a buck? I can certainly see it getting damaged in a hard tail strike and should be put on your spare parts list. The included manual is not a manual at all but more of a "introduction/safety brochure". The full manual can be downloaded from Align's site, I also have it available here. As you can see, the full manual is like all of Align's manuals - very good and all encompassing. It is by far better than Blade's with the wonderful diagrams and exploded parts views along with all that content rich information; easily making up for the odd translation hiccup. Not much to upgrade here. Speaking of "ooze", as the rotors are made from ABS plastic like most micro heli rotors, be very careful not to get any thread locker/Loctite on the blades at the blade grip as it will make the plastic brittle and weak around the bolt. If you do use loctite on the tiny blade hex bolts, just use a very tiny amount in the threads on the end. The force of the rotors pulling outward helps a bit at preventing the bolts from backing out, but they still will come loose over time (at least mine did), so I now use low strength Loctite (the purple stuff). Keeps them in, yet is not overly strong causing you to strip out the tiny hex head on the bolt when you need to remove them. Moving down below the head and swashplate, both the T-Rex 150X and Blade 130S, start to become similar in architecture and design. Like the 130, the Rex's canopy is lightweight poly-carbonate that has proven to be very strong and robust during several high speed close encounters with the lawn. I like the attractive graphics better on the 150, but that is personal opinion. Both have plenty of aftermarket canopy options as well. Both use lightweight and tough plastic frames & landing struts/skids. The T-Rex 150X uses more robust nylon for the landing struts & skids that also have four little black anti-slip "skid nuts" already installed; plus the 150X's frame is made from a single piece and stronger composite FRP (fiber reinforced plastic). Battery placement on the 150X is tucked under the belly between the landing skids in custom sized cradle so canopy removal is not required when changing a pack. The 130 S does require canopy removal to replace the battery located on a front battery tray. I'm not partial to either location and this is not a contributing factor for me either way; however having custom sized battery holsters like on the 150, does limit battery experimentation over an open tray. On the flip side, some like being able to change the battery out without having to remove the canopy. The battery insertion and removal in the T-Rex 150X is however very stiff. In fact, the only way I could unplug the JST-XH connector without removing the canopy was to use a flat bladed screwdriver to pry both apart as shown in this photo. Pictured below is my "fix" for this issue. I simply used a hobby knife and carefully cut off the edge of the little plastic catch tabs (circled in red). 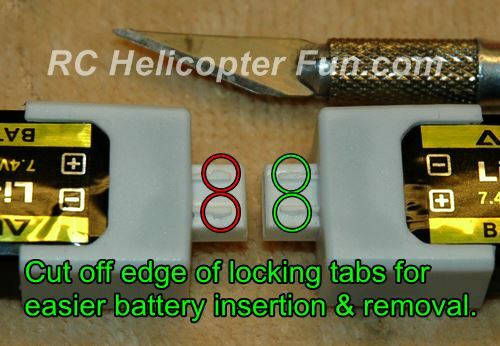 There is still a good deal of friction in the connector and pins to hold the packs into the heli I have found, but by "losing" those little catches, it's now possible to remove the packs without using a screw driver or having to remove the canopy. The 130S & 150X both use aluminum tail booms which tend to bend in harder crashes over cracking and splitting like carbon. Mild bends can be bent back straight to get you flying again until replaced (yep, already been there). Main and tail brushless motors are used in both, however the 150X is running lower voltage 2S LiPo packs over the 130S that uses 3S, and the 130 uses a tri-blade tail rotor over a two blade on the 150. That said, the 130 S is over double the weight at 170g vs the 150X's at about 80g (64g heli, 16g battery), and the 150X seems just as powerful given the better power to weight ratio. This "lightweight" 150X off the bat is a big selling point as far as I'm concerned. 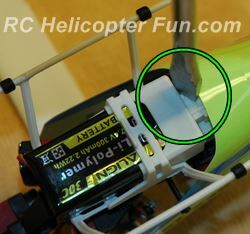 A light micro heli is less likely to get damaged during impacts, and 2S LiPo packs are a little less costly than 3S. Yes, the 130S is larger and that is a fairly "big" plus for me. The 130S is 304 mm long, the 150X 255mm long. The 130 is spinning 133mm blades with a main rotor diameter of 310mm. The 150 on the other hand is spinning 120mm blades with a main rotor diameter of 271mm. Size wise the T-Rex 150 is pretty much dead center between a Blade mCPS and the 130S. 120mm long blades on the 150X make this a 120 size helicopter if you want to use the customary blade length sizing method. This might not seem like much of a size variation, but on a micro heli, it's pretty easy to appreciate and see the difference. As I have flown all of these helis (in various versions), there is no question I like the Blade 130S in the size department the best for my size yard and 50 year old eyeballs, but it's not quite enough to make up for the better overall quality & precision of the T-Rex 150X. They are very close, but the advantage goes to the 150X as far as I'm concerned. Parts costs for both are likewise similar - very reasonable and easy to source both on line and off, so no clear winner there. Both have very good aftermarket parts support as well, but the Trex 150X has more options including LiPo battery options. Speaking of parts, what about crash resistance? The nod goes to the T-Rex 150X; naturally because its' both smaller and lighter so it has less energy to dissipate when the ground interferes. The new 130S is robust however, much more so than the 130X version. The Blade also uses linear servos which are almost impossible to strip out, but they need cleaning maintenance and/or replacement more often. As I said in the 130S article, which is more important to you; linear servos that won't strip but require cleaning, or rotary servos that are very maintenance free, yet can strip out and might need the odd gear set replacement? I know which I would rather have after living with both - rotary! Since I was just talking about the rotary servos, may as well start there. The 150X uses 3 Align micro digital cyclic servos with plastic gears. I have listed the servo speed and torque specs lower down on the page under the specifications heading. 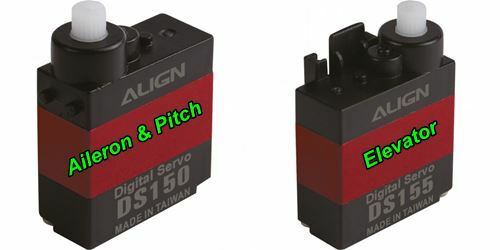 The aileron and pitch servos are the same model number, DS150. The elevator servo however is a DS155. 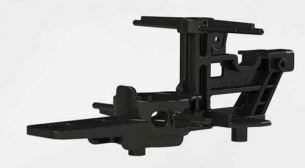 The only difference is the servo case as the 155 mounts differently (horizontal). The DS150's both mount vertically. Speaking of mounting, these little servos are clipped into the frame, not screwed in. Gear sets are the same for both the DS150 and the DS155 and a highly recommended spare part to have on hand (Align part # AGNHSP15001). You can also find aftermarket metal gear sets for these servos available for about $10 bucks each as well as special servo saver arms that will "slip/cam out" on the servo shaft output splines when excessive force is generated that would otherwise strip a servo gear. There is also a "freebee" micro servo saver mod method you can do yourself. Wish I would have known about it as it seems to work well by all accounts and doesn't cost a dime. Here's the link to the procedure. Since doing this free servo arm "slit mod" on my 150X so the arms will cam out on the servo output shaft during excessive force, I have not had a single plastic gear set get damaged. My recommendation is to perform the "slit mod" before wasting money on a metal gear set or get the special servo saver arms. Only afterward if you find the plastic gear sets stripping still, then consider the heavier and costlier metal gear sets. The main motor is the Align RCM-BL150M rated at 9000kv, the tail motor is the Align RCM-BL150MT rated at 8000kv. The T-Rex 150X's "Secret Sauce" has to be the Align 150 GRS unit. This is a combination 6 sensor flybarless system, with Bluetooth connectivity for programming/configuration. The top circuit board is the built in RX (receiver) for FlySky AFHDS protocol or Futaba S-FHSS protocol so be aware of that. This change-over in protocols has caused much confusion. The original came with the Futaba protocol in all versions. 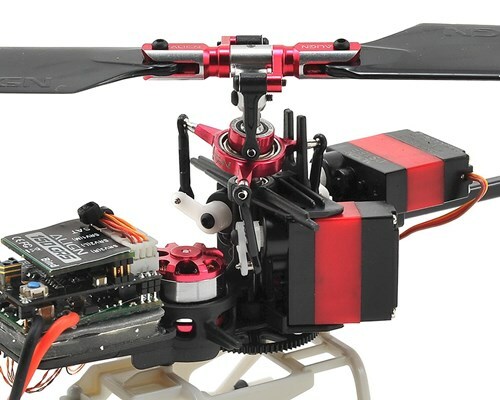 The latest version of the RTF Super Combo 150X kit comes with an AFHDS RX. The BTF version still coms with the original S-FHSS RX. The way to tell which RX is in the name. The original and the BNF version that use a built in S-FHSS RX with a Spektrum & JR satellite RX port are called 150GRS as shown in the photo below. The latest 150GRSA unit no longer supports Futaba's S-FHSS protocol. As shown here, the 150GRSA is the newer top RX board that supports FlySky's AFHDS protocol / A.Bus. This is so it will work with Align's new A10 radio (which runs on AFHDS) that has replaced the original T6 (which ran on S-FHSS). 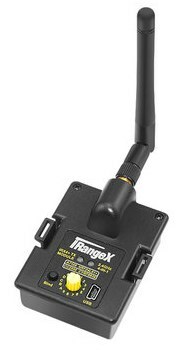 The Align A10 Radio now ships with the 150X TA RTF Super Combo version, and their new T-Rex 450 LP RTF Super Combo. It's uncertain to know if the BTF version of the T-Rex 150X will eventually also be replaced with the 150 GRSA RX? If so, you'll no longer be able to bind a Futaba Radio, but you will be able to bind a FlySky AFHDS radio. It's unclear why Align has done this, but the most obvious reason is that it's more cost effective to use FlySky's technology over Futaba's. The A10 radio is also a welcome upgrade/improvement in my opinion over the Align T6 (Futaba 6J). My guess is the BTF version will also eventually come with the AFHDS A-Bus RX as well. Regardless of which, this RX board also has a satellite (remote) RX port for both Spektrum/JR DSM2/X or JR DMSS satellite RX connectivity. A nice little custom length satellite RX cable is included with the Super Combo kits - thanks Align. The lower board in this electronic sandwich is the combination brushless ESC's/mixer for the main & tail motors. This board is a separate part number (HEG15003), so if you burn out your ESC, you won't need to get a complete 150 GRS assembly, you can just replace the lower board (some soldering skills involved). Back to that top RX board in the sandwich. Align markets this as "Multi-System Support", and to me is one of the neatest and most unshackling features this little micro heli has to offer. Being fully compatible with any of these very common RC radio protocols, easily doubles its customer base, not to mention improve resale value and desirability by not being locked into any one system. The 150 GRS combo FBL unit is very similar to the Blade 130 S's AR6335A unit, but the AR6335A is only compatible with Spektrum DSM2/X. The AR6335A also doesn't have the same level of programming and tuning options the 150 GRS has and requires one to purchase (at extra cost) an optional programming cable if you wish to access any of it's programming features. Not so with the 150 GRS as we will soon discover. Both use a 3 axis gyro sensor in combination with a 3 axis accelerometer sensor which when combined, is also called a 6 axis gyro by some (a nonsensical term I really dislike). 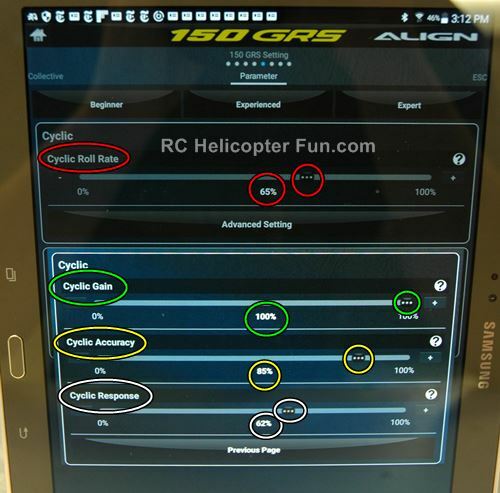 Regardless of what you wish to call this configuration of sensors, the result is the option of having a self leveling CP helicopter for beginner friendliness with both the accelerometer and gyro sensors turn on; or a conventional CP helicopter feel and response with only the gyro sensors turn on. Blade calls this extra electronic help "SAFE Mode", Align calls it "Attitude Auto Level Mode", both do essentially the same thing. Having both gyro and accelerometer sensors also allows both to have a Save/Rescue/Panic Recovery activation to level out the heli or upright it when inverted when commanded to do so in the event you are about to crash. 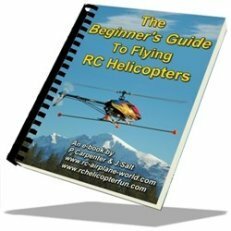 I'm not really big on rescue/save modes as I explain on my Best Flybarless Page, and see even less of a benefit to have it on a small micro heli; a total sales gimmick in my opinion. Hitting throttle hold before hitting the ground will do a lot more to save your micro sized bird (especially if over soft lawn). The 150 GRS will roll the the heli upright when inverted when rescue/save is activated, but it's quite slow. It's much faster to just use your cyclic stick to pitch or roll out of inversion when disorientation creeps up and things start getting crazy. Again, I'm no fan of rescue and see it as just one more thing that prevents people from reacting properly and learning correctly, but that's just the old instructor in me talking. One thing I can tell you is the worst crash I have had so far with the 150X was when I was trying to get used to using rescue with it so I could at least give my first hand impressions - big mistake! I bent the boom slightly, cam'ed out the main gear, and stripped a servo when the 150X tried to roll out of inverted flight but the ground came up way too fast with it fully powered up (100% flat line throttle curve). After that, I quit using rescue and have gone back to what I've always done with micros - hit throttle hold when I know things are getting ugly, and make sure I have a flat line pitch curve in hold mode. I have not broken a single item on the little rex since. It's a tough little bugger - way better than even I was hoping for, provided it's not powered up when the ground interferes with your fun, and you fly over a nice soft lawn. The 150 GRS utilizes a powerful ARM Cortex 32 bit processor to deal with all these sensor inputs and flybarless algorithmic calculations making it perform like the larger, full function, higher end FBL units on the market. 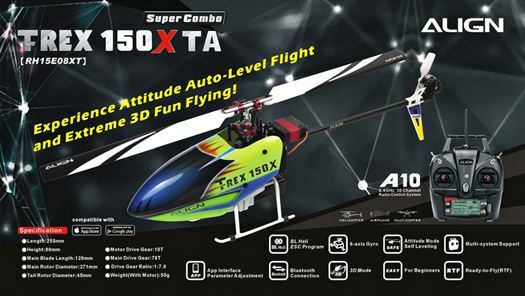 This new 150 GRS gives the T-Rex 150X both a better feel and judder free predictability you normally don't experience with little micro size collective pitch helicopters. It really does behave like a larger machine in that respect. I know, that is a marketing cliché that is thrown around these days with all micro CP helis it seems. As I have always said, larger helicopters are so much nicer to fly and this is why we keep getting bombarded with the "it flies like a larger heli" marketing rhetoric on the micros'. The 150X however really does live up to this "larger heli" feel (with the correct settings - more on that shortly). Of course it can't replicate the added mass, inertia, and momentum that gives larger RC helicopters their wonderful feel and fluid like performance, but when it comes to stability and predictability, the 150X for a micro has it nailed down better than the rest (at least anything I have flown to date). I won't get into all the 150 GRS configuration options you can access with the free 150 GRS app. You can download the Android version here and the the iOS version here and play around with the application to get a basic idea how it works. The 150X user manual is also very comprehensive, and here is a good video as well that goes over the main configuration steps. 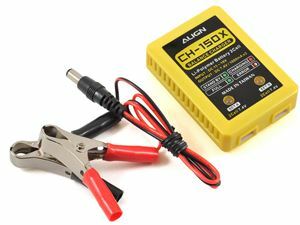 You don't even have to be an RC helicopter enthusiast to realize just how powerful and feature rich this little 150 GRS package is. The one thing it doesn't have however that the Spektrum AR6335A has is Spektrum's telemetry, but since I fly with a non telemetry JR X9503 radio, this is an irrelevant feature I wouldn't be using. In fact on a micro heli, I see no practical reason whatsoever to even use telemetry. As shown above, I used an inexpensive Orange DSM2 satellite RX on my 150X over a Spektrum one for the simple reason it's nice and small and fits perfectly (didn't like the idea of cracking open an expensive Spektrum one for it to fit properly). Figured a low cost "clone" RX will be fine in a small micro that I never fly far away. The binding process was very easy, just as explained in the above video, and went off without a hitch! It's been working great. Now, if you are fairly intimidated and put off by all the various configuration steps involved with the 150 GRS unit/app, and you already fly with a Spektrum DSM2/X radio, then the Blade 130 S would likely be a better option as it's already configured and pretty much ready to go out of the box other than for you to bind & program your radio with dual/expo rates and pitch & throttle curves. 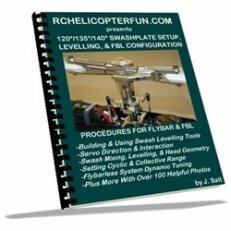 If however all that 150 GRS configuration looks fairly easy and straight forward or you have already setup a number of flybarless units and have collective pitch RC helicopter setup experience, then you should have no issues. In all the areas that are important to me, the 150 GRS is simply a better unit than the AR6335A in my opinion. So, who's the winner in the electronics department? No contest here - 150X all the way. The one thing I really dislike about micro size CP helis is the very short flight times they all have, even when flown conservatively at lower throttle outputs. The T-Rex 150X is no exception, but it's better than than 130 S (not as good as my older 130X's however). As I state in my 130 S write-up, I was barley getting 4 minutes flying gentle and about 2.5 minutes or less flying at 100% power. The 150X is better in this regard, not by much mind you, but every second of uninterrupted flying fun counts! 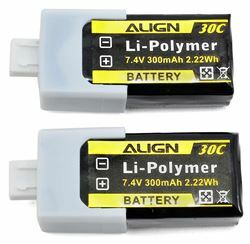 The stock Align 2S 300 mAh packs give about 4.5 minutes of gentle flying and about 2.5 minutes of full power flying, discharging the packs to a safe 80% discharged state (about 3.75V per cell as shown). I cover that 80% topic in detail on my LiPo battery page. Again it's not much difference between the two, but even an extra 30 seconds pushes the 150X once again to the top step on the micro CP heli podium. 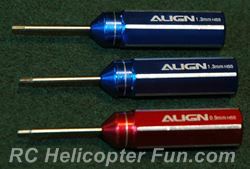 The Align T-Rex 150X Super Combo comes with two Align 2S 300 mAh flight batteries as standard, the 130 S BNF doesn't come with any flight batteries. Value once again goes to the Rex. The 150X also has a few more aftermarket LiPo battery options than the 130 S which to me is important. This will likely change of course since the 130 S is brand new and the 150X uses the same 2S 300 mAh LiPo's as the original 150 DFC did so it's only natural that the 150X will have a better selection. As seen in the battery photos, the T-Rex 150X batteries are similar in design to the 1S micro LiPo's that Eflite & Blade use for their really small stuff like the mCPx's and mSR's; utilizing a stiff end cap that is glued to the cells with a solid connection plug on the cap. The plug used is a standard 3 pin JST-XH plug so it's not some obscure hard to find plug type. In short, you could even make your own LiPo packs for this thing fairly easy if you are into that sort of thing. The 150X compatible Nano-Tech 2S 330 mAh ones are inexpensive however, and I've already ordered several up. As I mentioned earlier, the included 2S LiPo charger that comes with the 150X Super Combo package is quite decent. I'll likely not be using it, preferring to use a computerized charger with a 2S JST-XH parallel charging cable. If you don't have a computerized charger & parallel charging cable already, this included charger is certainly adequate, and the fact you can charge two packs at a time if you so choose is nice over being limited by single pack recharging. The included dual port charger does however not come with any power source to power it. Its working input voltage range is 11VDC to 19VDC. Out of the box, the power cable for it has two battery clip ends to hook it direct to the terminals of a 12 VDC battery. You can get an optional AC-DC wall-wart power supply for it as well. For those of us who already have a 12-15 VDC RC power supply with the usual 4mm bullet terminals, cutting off the battery clips that come with the stock power cable and replacing them with 4mm banana plugs is an easy, workable option. You could also solder a LiPo connector of your choosing onto the end of the supplied charger power cable and then power it with a larger capacity 3S or 4S LiPo making for a very portable charging station. I'll first start by saying I was completely unimpressed with the first few flights I had with this little rascal. It was okay in auto level mode and really solid (great for beginners), but when I went into normal mode with the accelerometers turned off, it was simply rotten! It was very vague feeling and drifted wildly. In fact, it felt very much like the FBL gyros were completely turned off. I went through the entire setup procedure and correctly positioned all three servo arms level, confirmed swash was level, adjusted zero degrees collective at level, and set a symmetrical collective range of +/- 11 degrees as per the instructions. All these settings by the way are all suppose to be done at the factory, but I can tell you first hand they were only close, not perfect (not what I consider perfect anyways). This improved things, but cyclic drifting was still very apparent and over pronounced. I next updated to the latest firmware - no change. Next I went into the advanced cyclic menu in the 150 GRS app to start playing around with those settings. The factory 50% cyclic gain setting was simply way too low. I eventually dialed it up to 100% and now this little 150X truly is flying on rails like my larger birds. I figured it would start getting PID feedback judders/oscillations going that high, but not at all. Now it feels like a proper CP helicopter should. I also tweaked the other cyclic parameters to suit how I like a heli to feel and respond on the more reactive side, while being able to tame it down with radio dual & expo rates. I set all my birds up this way because it's just a lot easier, faster, and efficient to make small tuning adjustments in the radio; over having to hook the FBL unit up to the programming wizard or in the 150X's case, the GRS app. Any taming & final tuning I then do within the radio (throttle/pitch curves & dual/expo rates). Another tip here is not to start fine tuning any settings until you run a few LiPo packs through it (10 minutes or so of flying). Just normal tame type flying. This allows the linkages to break in and loosen up a bit (they are quite tight out of the box). After they wear in, things really smooth out, at least that was my experience. It also pays to check and balance the main blades if required. Mine flew fine, but there was some vibration. After checking and finding one blade ever so slightly heaver, I added one piece of the included balance tape to the CG location on the lighter blade (determined by using an Align micro blade balancer), and the vibration was all but gone. I'm now having a ball with my 150X, and so happy I chose it over the 130S. I do admit I miss the slightly larger footprint the 130X & S have in the air, and I miss the longer flight times the 130X gave; but when it comes to precision and quality, the little Rex is just a better machine in my opinion. I have yet been able to blow the tail out, even while doing 100% power pitch pumps and my very awkward looking rainbows. Awkward is being too kind - lets say junk show. The flight envelope is likewise impressive. It performs very well at low head speeds (flat line 50% throttle curves) for tame scale type flight. Flat line 75% is great for soft sport I find, and of course 100% flat line is crazy power. Too much for my needs in fact so I run my full aerobatic flight mode 2 with a flat line 90% throttle curve. Where I really notice the quality difference between the Align 150X and every other micro Blade heli I have flown to date is while flying inverted. I can't get over just how smooth, stable, and predictable the 150X is in comparison, truly like a larger bird. I'm not sure why this is, but Blade's micros when inverted always seem like they are just on the edge of losing stability and every now and then have little jiggles, judders, and oscillations. I'm not sure if this is due to the linear servos, but I don't experience it nearly as much when right side up. I simply think all the slop and play in the Blade micro CP helicopter's linkages, swashplate, and head/grips, contribute to stability jiggles while inverted when all the heli mass is over the rotor disc instead of hanging under it. The little Rex on the other hand has basically zero slop or play in any of those components - just like its bigger brothers. The higher processing power in the 150GRS flybarless unit likely plays a roll as well. 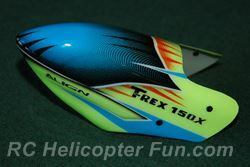 One thing for sure, if inverted practice is what you are after in a micro CP helicopter, the T-Rex 150X is confidence inspiring. Again, it would be even more of a great inverted training aid if the auto level feature could be turned on while inverted without it rolling the helicopter back to right-side-up. Yes, the little Trex 150X works very well with training gear fitted for beginners learning to fly a collective pitch RC helicopter. 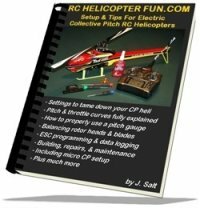 I found it works best it Attitude Auto Level mode and really replicates the feel of larger RC helicopters, provided you use the same tame learning to hover pitch and throttle curves such as I outline in my Setup & Tips eBook. It also flies well with training gear fitted in normal stability mode, but due to ground effect air currents that really push little micro sized helicopters around while close to the ground, it's not nearly as easy or what a larger bird feels like. You will get better, more realistic results when practicing hover exercises close to the ground with the help of the accelerometers turned on in Attitude auto level mode. When looking to purchase your T-Rex 150X, you will be faced with three choices. It can be confusing when looking so make sure you know exactly what you are ordering before you purchase. I almost purchased the wrong version so I want to make sure others don't make that same mistake. 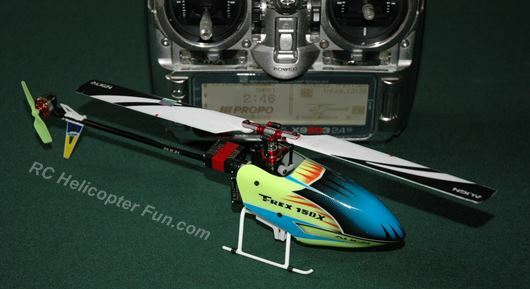 First up is the T-Rex 150X TA RTF Super Combo (Model # RH15E08XT). 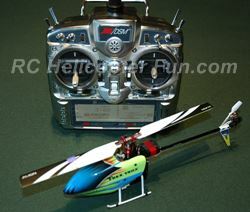 This is the Super Combo Ready To Fly version that includes the new Align A10 Computerized Radio; running FlySky AFHDS protocol. For those that don't already have FlySky, Spektrum, or JR 6 channel plus computerized radio, this is the version you'll likely be interested in. Next up we have the T-Rex 150X Super Combo (Model # RH15E04X). This is the Super Combo Bind to Fly version that omits the A10 radio. 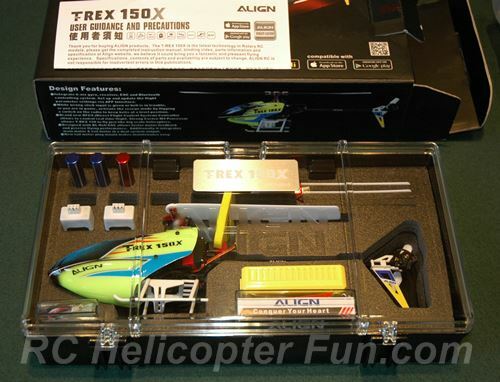 This is for those of us that want the super combo with all the goodies (case, tools, batteries, etc) but don't need a radio because we already have a compatible radio to use with this heli. This is the version I ended up purchasing. Last is the T-Rex 150X Combo (Model # RH15E06X). This is a bare bones "value" Bind to Fly version that doesn't come with the nice case, tools, batteries, charger etc that are all included in the Super Combo versions (basically only the helicopter) and would be the closest "apples to apples" comparison to the Blade 130 S BNF Basic. This is what I almost ordered by mistake. The usual tip off here is this "value" version is generally about 50 bucks cheaper than the super combo meaning it's about the same price as the Blade 130 S. If the deal looks too good, chances are you are looking at the bare bones combo version. Radio System Compatibility: Futaba S-FHSS or FlySky AFHDS, Spektrum/JR DSM2/X & JR DMSS (both needing satellite RX not included). 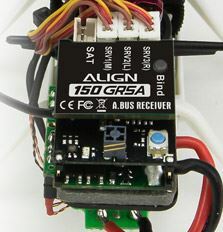 FBL System: Align 150 GRS (Bluetooth programming connectivity using GRS App available for both Android & iOS). I had been agonizing for a good month over either the 150X or the Blade 130 S, but the Rex was simply firing on more cylinders and was the clear choice for my micro CP heli needs after digging deep into what made it tick. Other than the smaller size issue, there was no "one thing" that stood head & shoulders above either, just a lot of little items that pushed the 150X over the top, and I'm very happy so far with my decision. I admit I still really enjoy flying my 130X's as the flight times are longer and they are a bit larger, but after flying one of them and then the 150X back to back, I so appreciate the better flight characteristics and precision the 150X offers along with the better power to weight ratio. Not cracking a tail boom or stripping out one of the tail gears after a hard'ish tail strike is icing on the cake. If it came down to price alone, the Blade 130 S would win hands down. The price has been dropped for the 130 S BNF version to $170 USD. 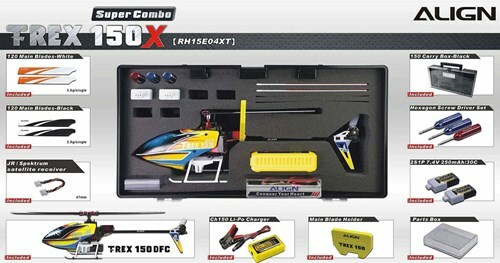 The BTF 150X Super Combo is $225 USD plus you will need a Spektrum satellite RX bringing the "flying" price to about $255 USD (about $20 bucks less with an aftermarket Sat like Orange or Lemon if you so choose). 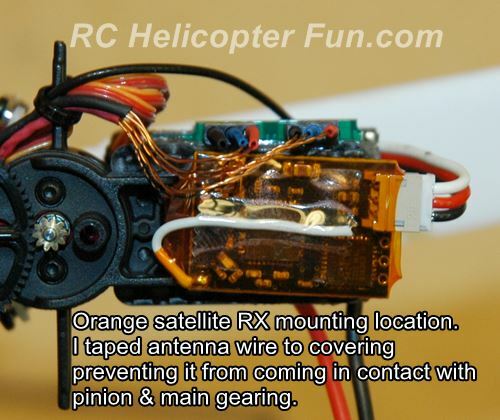 I had a few spare satellite RX's however in my parts bin, so it was no added cost. The nice case you get with the 150X Super Combo with the included LiPo's, spares, and tools, does certainly add value over the bare bones basic 130 S. No, not $50 bucks worth in my opinion, but definitely $30, and remember, no need to purchase a single extra thing to use the 150 GRS app. Like I did with the 130 S, lets tick off the pros and cons so you too can determine which micro heli might be a better fit between the two. Again, these are features and items that are important to me and what I put more weight and value on. You may feel some are more or less of a game changer based on your experience level, flying area, and what you deem important. In short, chose based on what ticks off more of the important boxes for you. At the end of the day, both the Blade 130 S and T-Rex 150X are great little mini/micro CP helicopters for at home yard practice, and to be honest, I know I would have been happy with either. 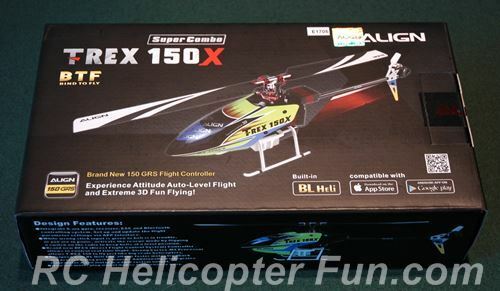 In my opinion however, the 150X is a better suited and equipped micro to meet the needs and expectations of more experienced RC helicopter pilots. Whereas the 130 S is better suited toward beginners who don't want to deal with any potential setup/configuration hassles; or if you simply want a slightly larger mini sized CP heli. Still Going Strong After Hundreds Of Flights! This is the best micro collective pitch heli I have ever owned! I can't get over how much I enjoy flying this little bugger, and it still flies as well a year later, as well as it did day one. All mechanical parts are still tight, and that brusless tail rotor is working awesome! I really didn't think it would hold up knowing my past experiences and dislike of fixed pitch motorized tail rotors, but I'm eating crow now. With a small enough heli (under 200 size), along with a powerful direct drive brushless motor; fixed pitch motor driven tails work, and work well. I rarely even fly my Blade 130's anymore which I figured I still would considering I like their slightly larger size. Thing is, the T-Rex 150X flies better, is totally predicable like a larger machine, and is way more robust. I have always considered micro collective pitch RC helicopters as disposable items because they simply wear out & don't last - not so with the Rex 150X! It's on par with all my larger birds in that respect. This is simply the only micro collective pitch heli I fly anymore outdoors. The Blade Nano CP is my indoor only bird. With those two micro CP's, I'm more than happy and covered. The only items I've broken in all these flights and a couple dozen or so hard crashes are two tail blades, a bent tail boom (teeny-weeny soldering skills better be up to task - those small tail motor wires are a real bugger to solder), and the servo gear set which I mentioned above in the review. Since doing that servo arm split mod, no more striped servo gears. So yes, I highly recommend that procedure or those aftermarket servo saver arms. Putting expensive metal gears in is a waste IMO considering the cost and weight increase. The canopy still looks like new but I do only fly over the lawn so rarely does a bad crash scratch it up. That said, the canopy has been "ejected" off the helicopter several times but no damage to it or the little mounting pins. The landing struts and battery have also been ejected a few times during hard crashes, but again, nothing has broken. Not even the two little pegs that hold the landing struts to the frame. No rotor head or swash damage either. Not even a bent main or feathering shaft! Hell, I'm still flying the original set of main blades but the tips are getting chewed up a little bit, so I should likely replace them soon with the spare set that came with the kit. The tail fin often slides forward on the boom and then twists around on the boom, but it snaps right back into place. I figured the fin would have broken by now considering how many times it's come un-clipped after an impact, but it's still perfectly fine, not even cracked anywhere - impressive! In short - don't waste your money on those heavy aftermarket carbon ones. They will break and they will also bend the hell out of the tail boom because they are so much stiffer. Remember, lightweight and inexpensive plastic parts usually make good mechanical fuses. Saving other parts! The one item that will need replacing soon on my T-Rex 150X is the main gear. The gear itself is fine and all the teeth are good, but the flat in the gear hub that locks it from rotating on the main shaft is wearing. This is causing the gear to slip/cam-out on the main shaft every now and then during a torque spike or blade strike. When this happens, the gear wobbles a bit since the hub flat is being jammed on the main shaft into an out of round position. The only real complaint I still have with the T-Rex 150X after flying it for a year are the short flight times. 3-5 minutes is the range depending on how hard I fly it. That of course is the main limitation with all micro CP heli's; and considering the amount of power this little Rex has, I guess all things considered, getting even that much time is pretty decent. The other issue I have with it is it won't work with my Spektrum DM9 module in my Horus after upgrading to FrSky this past year which I outline below. This is not really a fault of the 150X however. Okay, this last part of my review is only applicable for those that are thinking of binding their T-Rex 150X to the Spektrum DM9 module. Or perhaps have "successfully" pulled off the feat. Generally, this means people who already fly with an FrSky or any other radio that supports OpenTX & JR modules or are converting over. Yep, made the switch myself from my trusty JR X9503 to the Horus X12S this winter (2018), and I won't lie. It has at times been frustrating learning how OpenTX works (especially with helicopters), but now that I know what I'm doing and have all my birds converted over, like most people say, it's well worth the effort, and I actually found it fun. I'm using FrSky RX's on all my big birds to gain the wonderful telemetry, and Sbus connectivity to most of my FBL systems. However, all my little Blade BNF stuff, and even some larger planes, I'm keeping as Spektrum. I figured the Spektrum DM9 module was the best choice since there should be zero compatibility issues with what I already fly, not to mention good/proven/robust range which many of the other aftermarket multi-protocol modules suffer from horribly! Everything has converted over fine, except one - you guessed it - the little 150X. 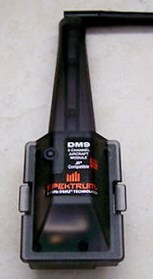 I've tried everything I can think of such as using a genuine Spektrum satellite RX, and binding at both 11ms & 22ms. Nothing works, and for the life of me, I can't figure out why the 150GRS unit will not communicate with the Spektrum RX, even though the RX binds successfully with the DM9. So, I'm putting the request out there for anyone who has a 150X and have tried (successfully or not) binding it to the DM9. Please feel free to contact me with your experiences. I really need to know if I'm beating a dead horse with the DM9 and the 150X or if there's something I've completely overlooked. Please note: I know the popular iRangeX irx4 Plus multi-protocol module works with the T-Rex 150X so that's the obvious way to go for most people. The question I'm asking here is specifically about the DM9! I simply want to know if it will or will not work. Not only for myself, but others who have it and keep contacting me to find out if I've found out if there is any way to get it to work with the DM9. Sorry folks, but I don't think so. I have not received a single positive confirmation in almost a year of asking this question. Just lots of "nope - won't work" feedback.